Coach’s Low Country Seasoning is a unique blend of over twenty quality ingredients. 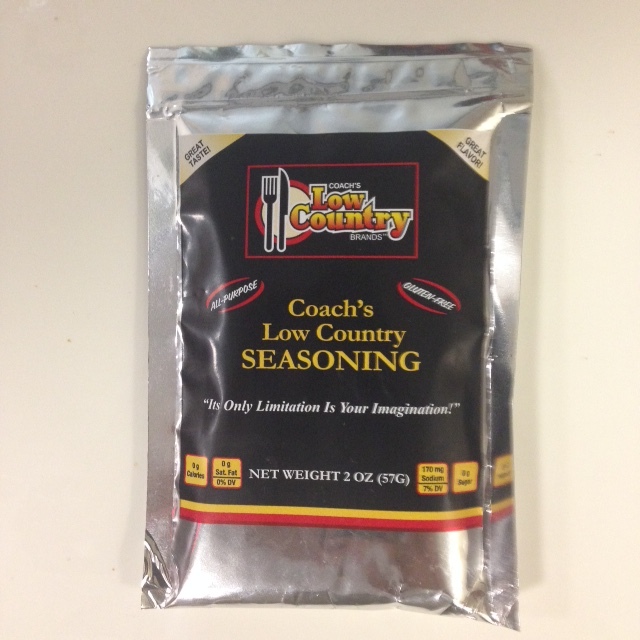 When “tastefully” used to season meats and vegetables, it awakens the great flavors reminiscent of Low Country Cuisine. 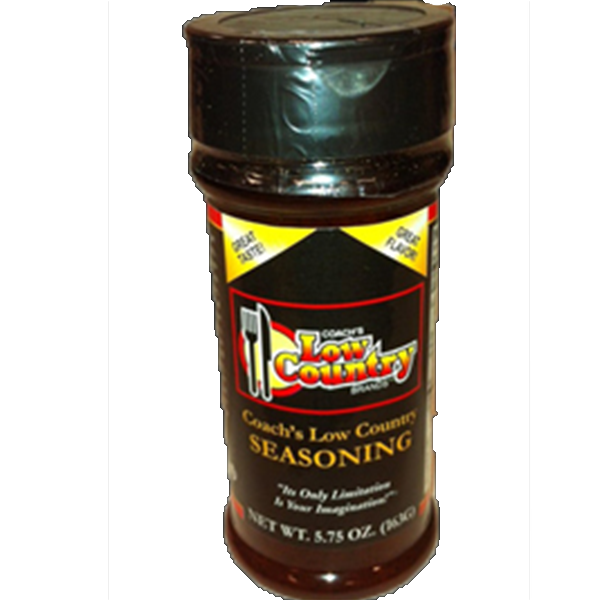 Great for grilling, blackening, and Sautéing. 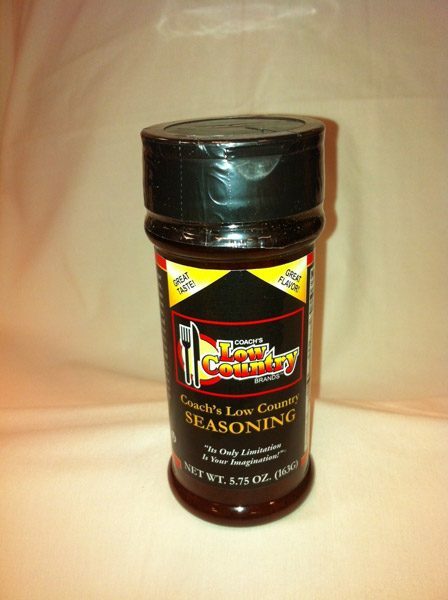 Enhances the flavor of pasta dishes, chili, cold salads, potatoes, popcorn, pizza, tacos, wings, and French fries. 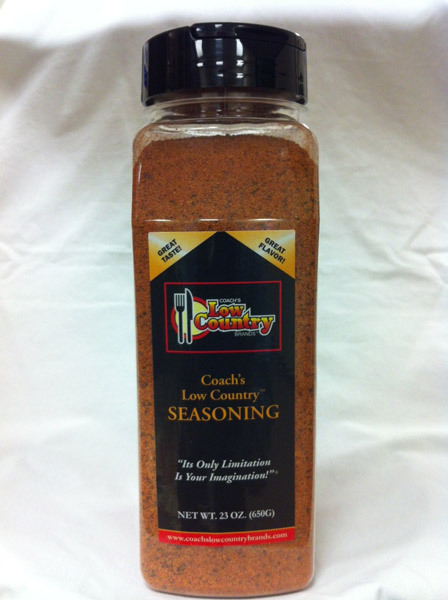 Don’t salt it – Season it. 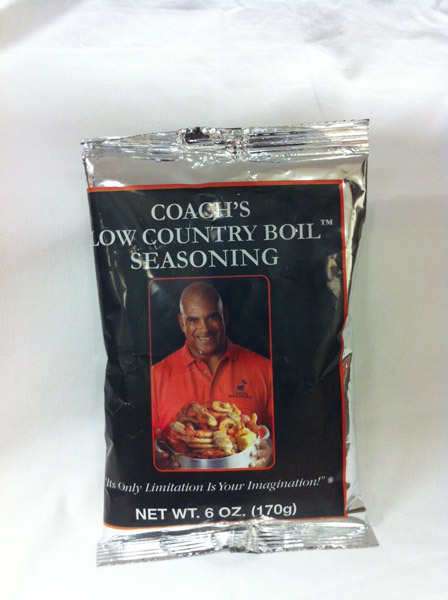 Each serving of Coach’s Seasoning is gluten free and contains only 7% of the daily value of recommended sodium. 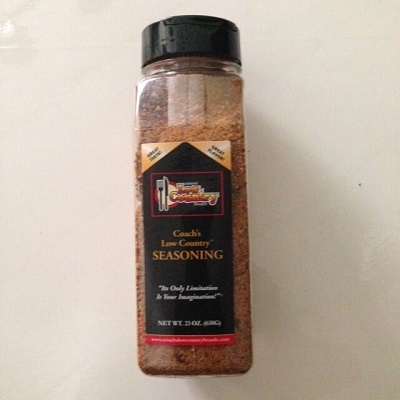 Save money by eliminating the need to carry many different seasonings.